Side event on addressing nuclear harm during the UN General Assembly First Committee, chaired by Trinidad and Tobago. 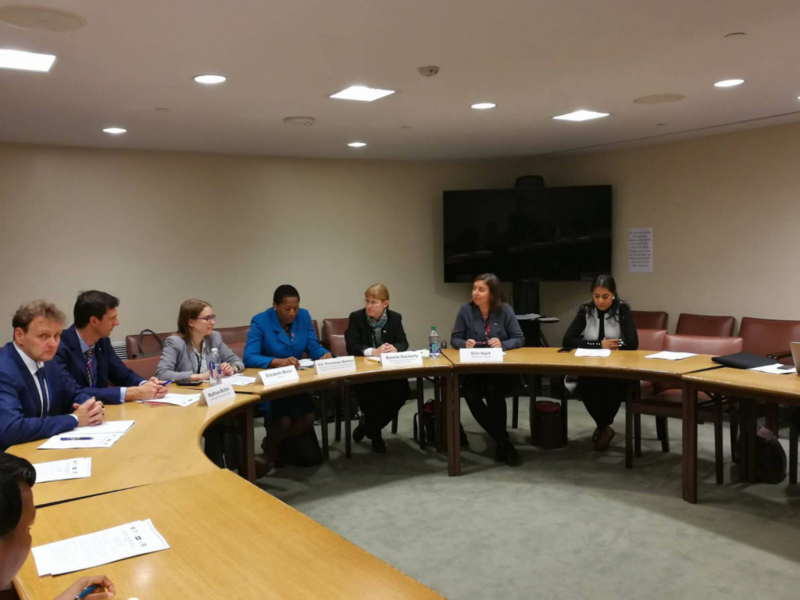 Pace University’s International Disarmament Institute co-hosted a panel at the UN last Thursday on addressing the humanitarian and environmental consequences of nuclear weapons use and testing. The session was opened by Ambassador Pennelope Beckles of Trinidad and Tobago and chaired by Elizabeth Minor of Article 36. Bonnie Docherty of the Harvard Law School International Human Rights Clinic provided an overview of the victim assistance, environmental remediation and international cooperation and assistance provisions in the new Treaty for the Prohibition of Nuclear Weapons. Erin Hunt of Mines Acton Canada offered insights on lessons learned for victim assistance from implementing such provisions in the landmine and cluster munition ban treaties. Matthew Bolton, director of Pace University’s International Disarmament Institute provided a summary of his new report “Humanitarian and Environmental Action to Address Nuclear Harm.” He particularly urged on states to draw on lessons learned from implementing the clearance and demining provisions in other humanitarian disarmament treaties. The event was made possible thanks to the generous support of the Friedrich Ebert Stiftung New York Office. 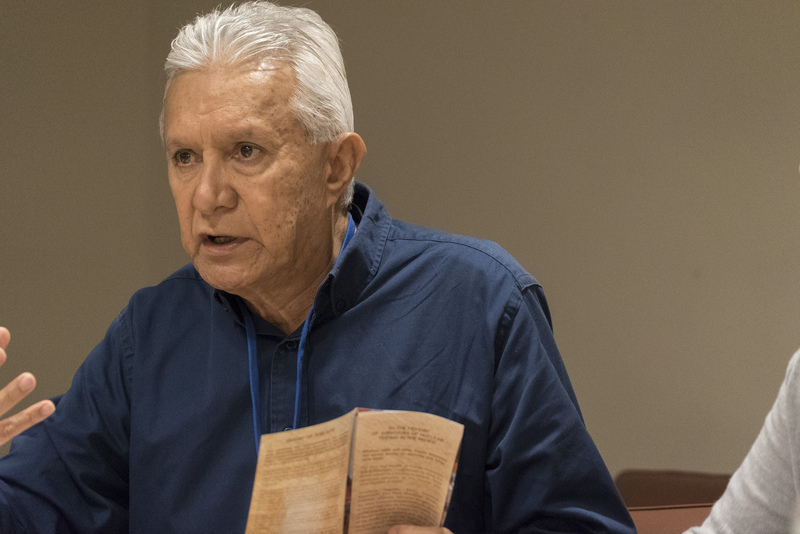 Roland Oldham, president of Moruroa e Tatou, an organization representing the rights of victims of nuclear weapons testing in Tahiti, presenting at the UN during negotiations of a Nuclear Weapons Ban Treaty. Pace University’s International Disarmament Institute co-hosted a panel with the Irish Mission on positive obligations in the draft Nuclear Weapons Ban Treaty at United Nations Headquarters on 21 June 2017. The event was also co-sponsored by Article 36, Mines Action Canada, Friedrich-Ebert-Stiftung and Harvard Law School International Human Rights Clinic. We were honored to hear from His Excellency Ambassador David Donoghue, Permanent Representative of the Republic of Ireland and Deputy Permanent Representative Tim Mawe, who both expressed Ireland’s strong support for positive obligations of victim assistance, environmental remediation, disarmament education and international cooperation and assistance in the Nuclear Weapons Ban Treaty. They suggested that similar provisions in the Convention on Cluster Munitions, negotiated in Dublin, could serve as useful models. 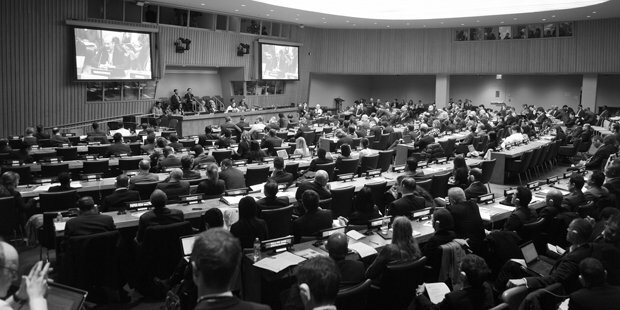 Matthew Bolton, director of Pace University’s International Disarmament Institute, published the following op-ed in the Nuclear Ban Daily on 21 June, regarding positive obligations in the Nuclear Weapons Ban Treaty, currently being negotiated at the UN in New York. 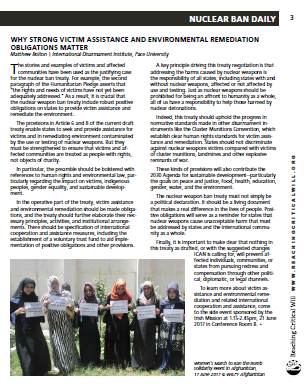 For more a detailed report on his research regarding positive obligations, click here. As a result, it is crucial that the nuclear weapon ban treaty include robust positive obligations on states to provide victim assistance and remediate the environment. The provisions in Article 6 and 8 of the current draft treaty enable states to seek and provide assistance for victims and in remediating environment contaminated by the use or testing of nuclear weapons. But they must be strengthened to ensure that victims and affected communities are treated as people with rights, not objects of charity. 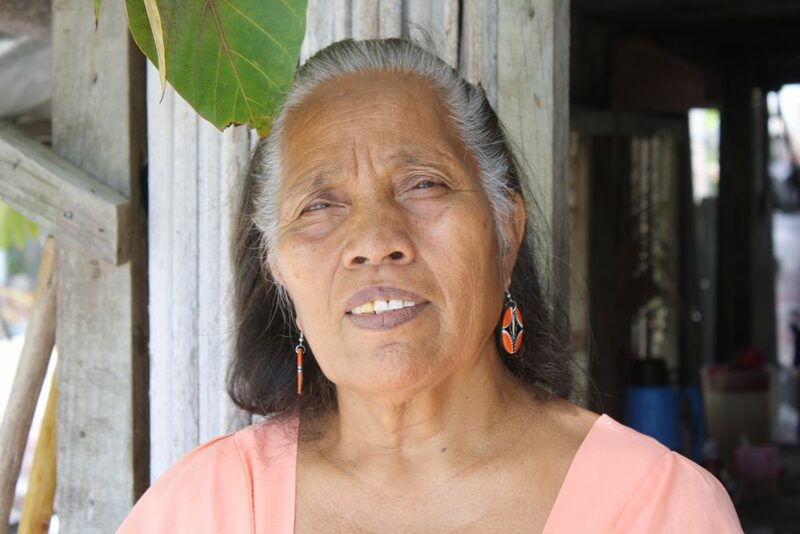 In particular, the preamble should be bolstered with references to human rights and environmental law, particularly regarding the impact on victims, indigenous peoples, gender equality, and sustainable development. 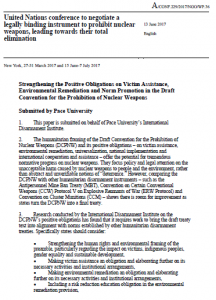 A summary of Pace University International Disarmament Institute research on strengthening positive obligations in the draft Nuclear Weapons Ban Treaty has been accepted as an official working paper by the UN negotiating conference. Specifying further international cooperation and assistance measures, including the establishment of a voluntary trust fund to aid implementation of positive obligations and other provisions. To read the working paper, click here. To read the full research report, click here. The object and purpose of the proposed nuclear weapons ban treaty is to address and prevent the catastrophic humanitarian and environmental consequences of nuclear weapons. As such, the political process that has led to the beginning of negotiations is rooted in humanitarian disarmament, which seeks to eliminate the suffering caused by problematic weapons. 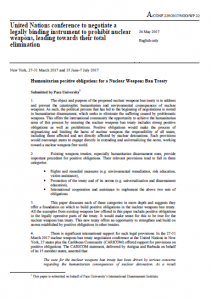 A new report by the International Disarmament Institute, accepted as an official Working Paper of the UN negotiation conference on a nuclear ban, argues that the international community should seize the opportunity to achieve the humanitarian aims of this process by ensuring the nuclear weapons ban treaty includes strong positive obligations as well as prohibitions. Positive obligations would make the process of stigmatizing and limiting the harm of nuclear weapons the responsibility of all states, including those affected and not directly affected by nuclear detonations. Such provisions would encourage states to engage directly in extending and universalizing the norm, working toward a nuclear weapons free world. International cooperation and assistance to implement the above two sets of obligations. The working paper discusses each of these categories in more depth and argues that they offer a foundation on which to build positive obligations in the nuclear weapons ban treaty. Nuclear weapons ban treaty negotiations at the UN in New York, March 2017. Photo courtesy of ICAN. A new report authored by Matthew Bolton, Director of Pace University’s International Disarmament Institute, argues that the international community should seize the opportunity to achieve the humanitarian aims of this process by ensuring the nuclear weapons ban treaty includes strong positive obligations as well as prohibitions. Positive obligations would make the process of stigmatizing and limiting the harm of nuclear weapons the responsibility of all states, including those affected and not directly affected by nuclear detonations. Such provisions would encourage states to engage directly in extending and universalizing the norm, working toward a nuclear weapons free world.